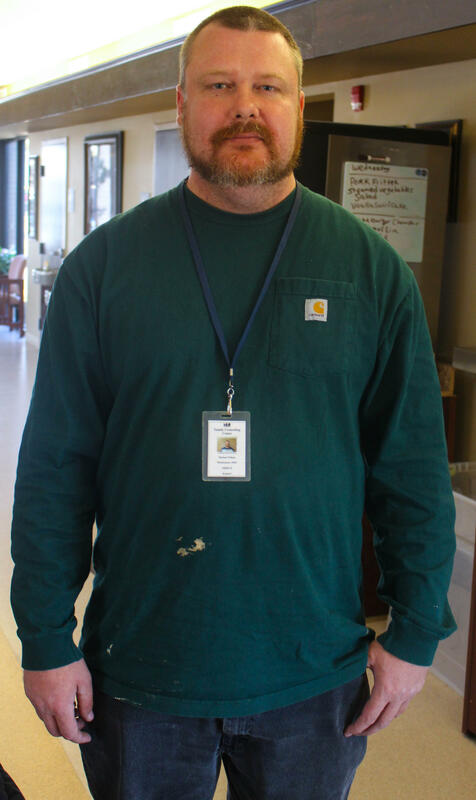 Joe Fox is a resident of Safe Haven in Kennett, Mo. Smith is the director of housing and vocational services at Family Counseling Center. The organization provides an array of services across southeastern Missouri, including the Safe Haven in Kennett, which has eight apartments for the chronically homeless. Safe Haven is where he works. Today is a big day. He is trying to count every homeless person in Dunklin County. And, thankfully, he is not alone. A small team of volunteers – who all also happen to be employees of the Family Counseling Center – pile into a minivan for this endeavor. Emily Parker is driving them in her van. Smith sits up front. In the back are Paula Driskill and Lisa Brown. Their first stops today are to the local police and count sheriff to let them know the count is happening in case they receive any 911 calls about people breaking into abandoned buildings. 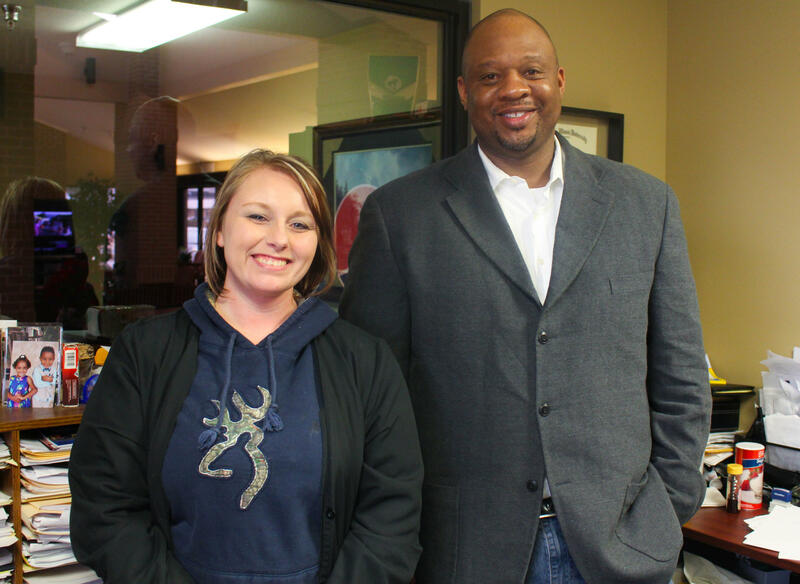 Safe Haven's Clinical Manager Kristen Borh and Director of Housing and Vocational Services Anthony Smith. Smith and Parker walk into the office of Bob Holder, Dunklin County sheriff. It’s in a converted old paper factory that’s also home to the county jail. Smith gives his spiel. When he’s done Sheriff Holder recounts a recent run-in his office had with a homeless man. “We had a situation back last summer that the Blytheville P.D. brings a guy over here, dumps him off at the Pemiscot County Hospital,” he says. Resources are pretty sparse down here in the Bootheel. No single town has every service to meet the homeless community’s needs. The apartments at Safe Haven in Kennett, for example, are permanent beds for the chronically homeless. The nearest emergency shelters are either in Blytheville, Ark., and Paragould, Ark., both about 30 miles away. And the closest shelter that’s still in Missouri is in Poplar Bluff, about 45 miles to the north. Homeless individuals are often transported between communities for their various needs. But because everyone down here is already strained for resources, this leads to the type of "not in my back yard" disputes Sheriff Holder is describing. And both men agree those resources have been strained even more ever since the state’s mental health center up in Farmington, Mo., shut down its involuntary psychiatric care services back in 2010. Anthony leaves a stack of point-in-time count surveys with the sheriff and says good-bye. “If you run into some problems let me know,” Sheriff Holder tells him, “and be careful." They head back to the van. The crew is equipped with all the tools they need for this count: flashlights, bottles of water, warm blankets, even an emergency radio. But perhaps none is more important than these surveys. The point-in-time count happens one day a year in Missouri, this year’s date is January 28th. In every county in the state, teams like this one are responsible for filling out a survey for every person in their area who has no place to sleep for the night. The questions are pretty basic: What is the individual’s living situation? What’s their reason for being homeless? How old are they? What’s their race and ethnicity? Are they a veteran? Any medical conditions? 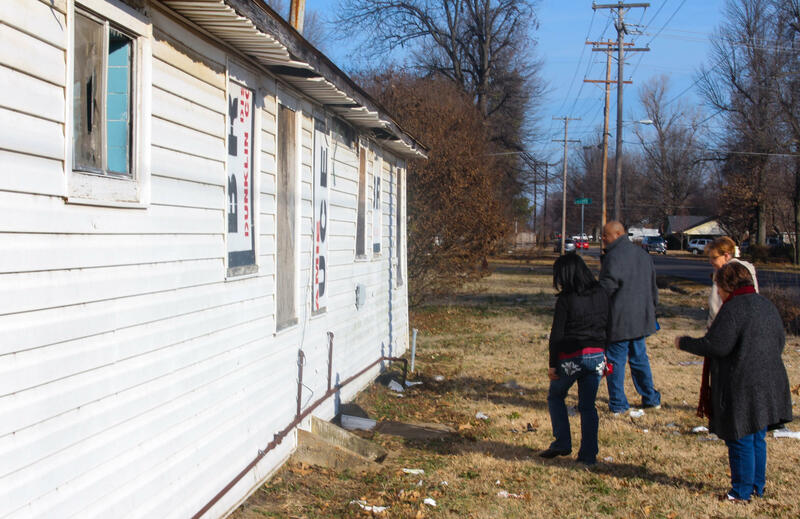 The surveys are sent to the Missouri Housing Development Commission, which compiles the data and sends it to the U.S. Department of Housing and Urban Development (HUD). The count is actually required by HUD to help track each state’s progress toward ending homelessness. The data is also used as a planning tool by both the state commission and by HUD – which is government speak for deciding where money gets spent. The point-in-time crew search an abandoned motel for signs it is being used as a shelter. Back in the minivan, the next stop, and one of the most exciting, is a wooded area behind the local Wal-Mart. There is a trail back here and the whole point-in-time crew pushes through the overgrowth looking for any signs a homeless person has been sleeping here. Lisa Brown doesn’t see any. As she’s talking, Smith breaks through to the other side. 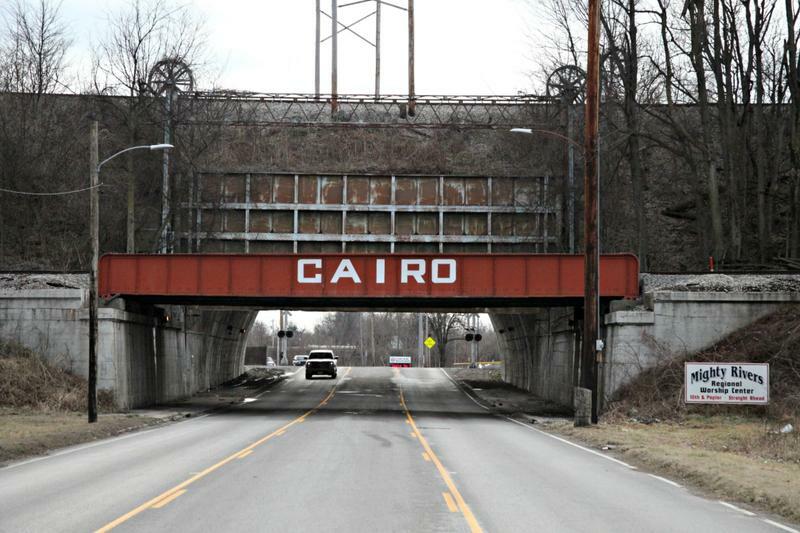 “I don’t see any signs of anyone inhabiting over here,” he says. Parker pops out of the brush and into the grassy corridor where he is standing. “Well this is a nice hide out,” she says. They find some empty beer bottles and coffee cups, but they all agree if someone does sleep here, they’ve probably already found a warm place to wait out the day. Back to the minivan. They make many more stops throughout the morning, mostly passing out surveys to other agencies that might encounter homeless people. Kennett Headstart, for example, as well as some faith-based assistance organizations and a non-profit that assists migrant farm workers with housing. Michael Wilson is a resident of Safe Haven in Kennett, Mo. But the first homeless person they encounter all morning is Michael Wilson, a resident they see back at Safe Haven when they break for lunch. The story of how Wilson wound up here helps explain why. “I've done a lot of house hopping, you know, from friends and family,” he says while sitting at a table in the common area. During last year’s point-in-time count, only 11 "unsheltered" homeless people were counted in Dunklin County. 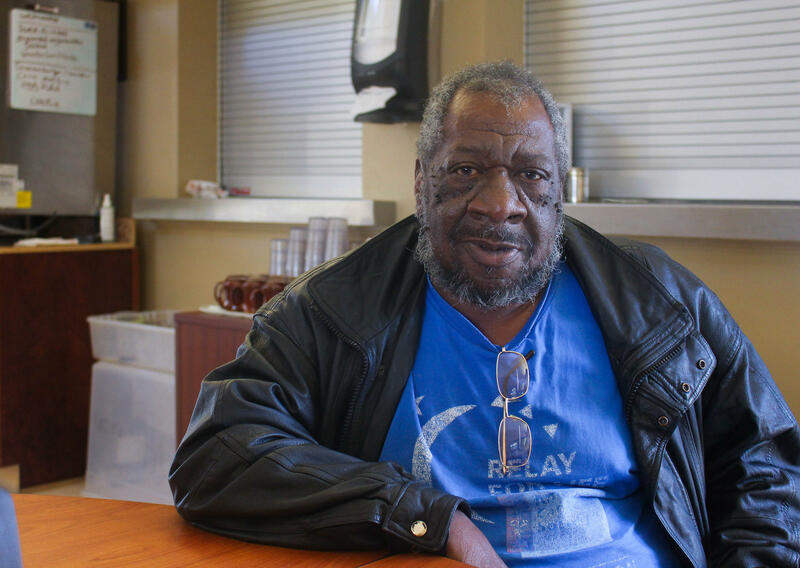 HUD’s definition of unsheltered homeless doesn’t include people like Michael who find temporary shelter. The "sheltered" make up the majority of the homeless down here. At 22, there were twice as many sheltered homeless counted in Dunklin last year as there were unsheltered. It’s a lot harder to count people who have a temporary place to sleep, but those individuals still have a need for services. And Smith says that underscores the importance of the point-in-time count. “Our situation is more cumbersome,” he says, sitting behind his desk at the Safe Haven. The team eats at the Chinese buffet next to the Wal-Mart, before quickly heading back out. There’s a lot of ground to cover today and they’ve only barely left Kennett. The next week, after all the surveys were collected, the unofficial count was 11 unsheltered individuals and 35 sheltered. An abandoned gin in Kennett, Mo. Smith says before the gin was fenced up, it was a congregating spot for homeless individuals. It’s early morning. The sun is shining brightly on the corrugated metal siding of the Otto Bean Medical Center in Kennett, Mo., and inside the building, Judith Haggard is pricking the soles of her patient’s feet with a pin. Otto Bean is part of the SEMO Health Network, a Federally Qualified Health Center which operates several clinics across southeast Missouri. Haggard is a nurse practitioner and one of the ranking medical providers here at the clinic, which has no full-time doctor. 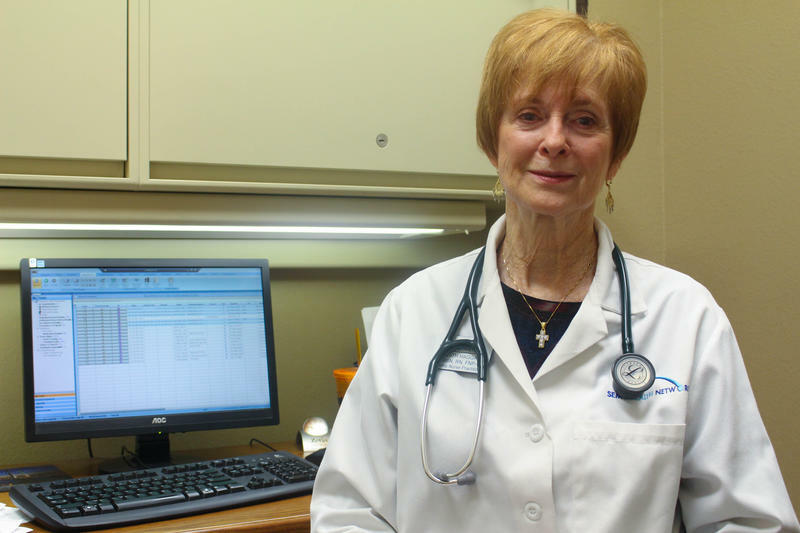 She has just 15 minutes to spend with her patient, a 71-year-old diabetic on Medicaid. Listen to part two of our series "Shortage in Rich Land." Chuck Earnest drives along a dirt road next to his rice fields near Steele, Mo. It’s not planting season yet, so the fields are flooded. Flocks of ducks and other waterfowl take turns floating on the rippling water and flying above it. For such a small region, this sprawling landscape of the Bootheel has some of the most productive farmland in the U.S. A solid water supply and nutrient-rich flatland creates a fertile environment to grow some of the most diverse crops not readily found in the rest of the state. 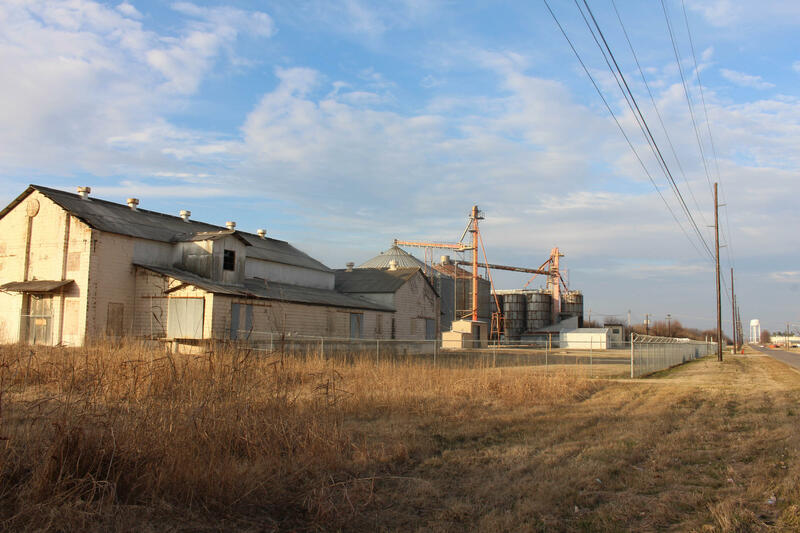 You can find watermelons, sweet potatoes, cotton and a small but strong sector in Missouri growing rice. Listen to part three of our series "Shortage in Rich Land." It’s a cold afternoon in Kennett, Mo. The lawns in this low-income housing neighborhood are still wet from yesterday’s rain. And just inside the door of her mother’s brick home, 27-year-old Marylouisa Cantu sits on a couch, pregnant and draped in a blanket. Her mother beckons, through the storm door. Listen to part four of our series "Shortage in Rich Land."